Vancouver Southsiders | Signed Alphonso Davies Jersey Up for Grabs! Signed Alphonso Davies Jersey Up for Grabs! Well, well, well… what do we have here? 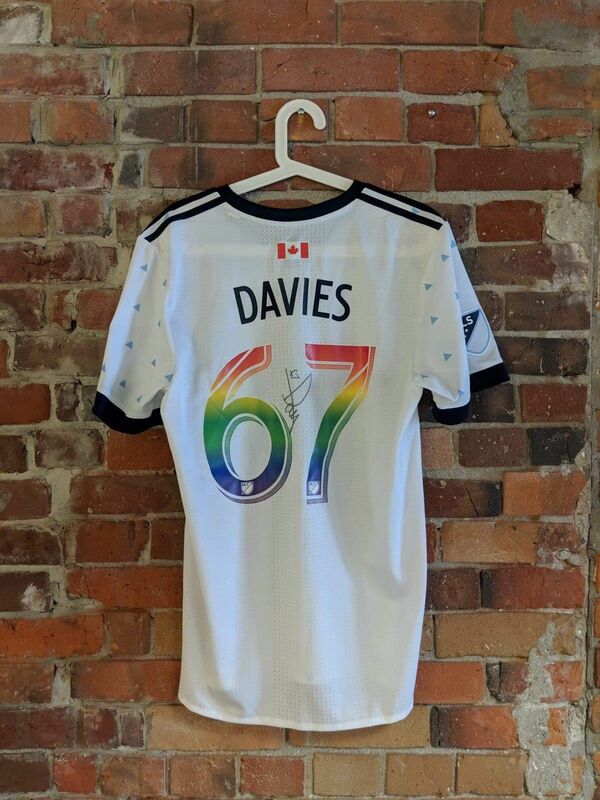 It’s an autographed Alphonso Davies jersey up for auction on eBay! This is a 2017 “Rain” jersey with Pride match rainbow numbering on the back. The jersey also comes with an official certificate of authenticity from Vancouver Whitecaps FC! Even better: All proceeds will be donated to our charitable partners in the community, including the Vancouver Street Soccer League and the Crisis Intervention and Suicide Prevention Centre of BC. Don’t miss out! Click here to see where the bids are at now!